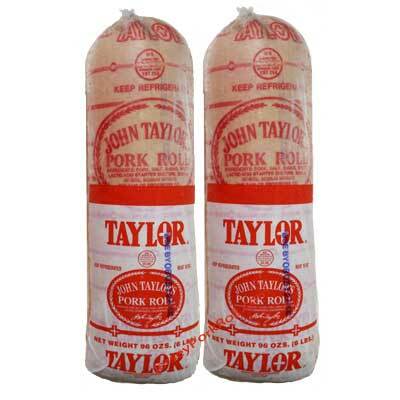 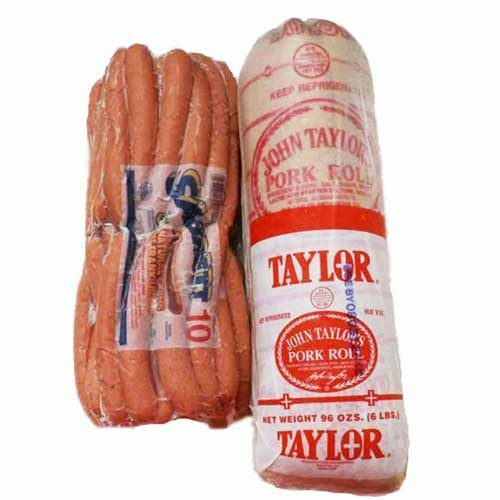 New Item Order 2 of the 1.5 lbs rolls of Original Taylor Pork Roll, also known as Taylor Ham® This product is formally known as “John Taylor’s Original Taylor Pork Roll,” but many of us in Jersey call it simply, “Taylor Ham.” Pork Roll has been manufactured since 1856. 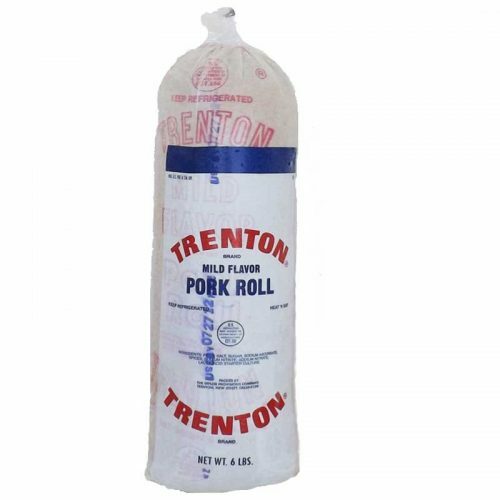 It is pre-cooked, hickory smoked, cured and can be safely shipped unfrozen all year long in proper packaging. 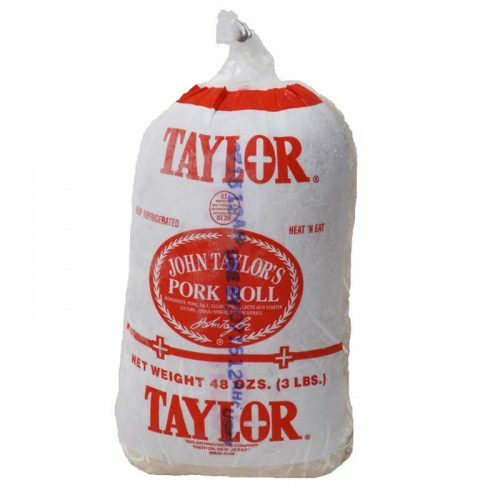 Lower Price when you buy two 3 LB. 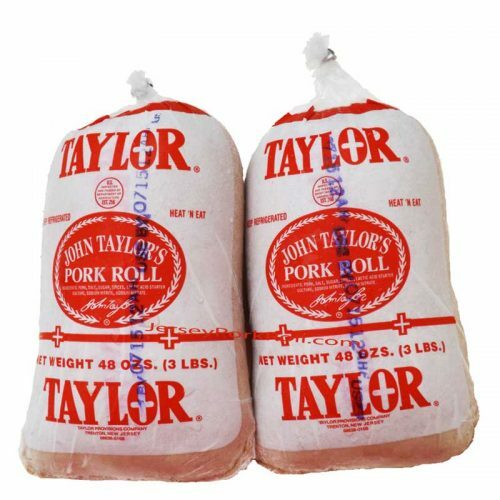 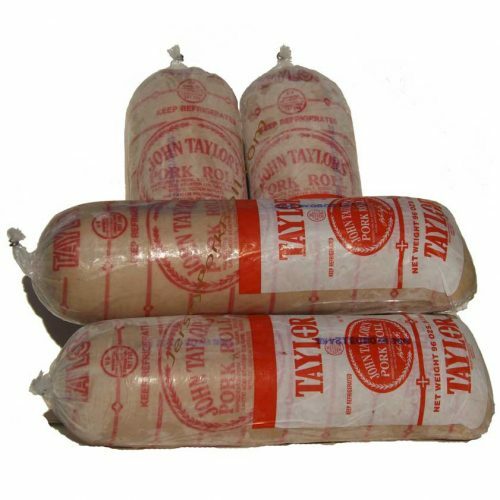 Rolls of Original Taylor Pork Roll also called Taylor Ham- 6 LBS. 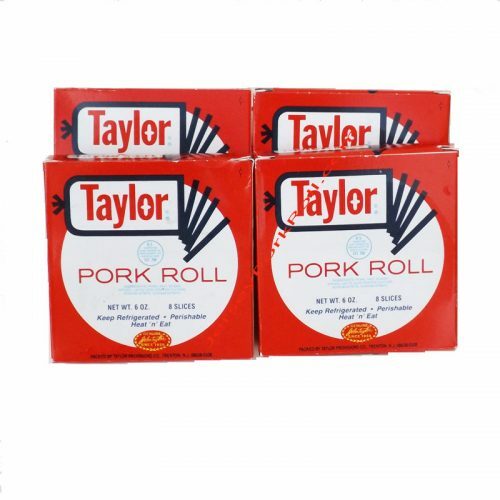 Choose from several shipping options: US Postal Service Priority Mail in a reusable cooler or choose Fed Ex Home Delivery or Express..
Twelve boxes of Original Taylor Pork Roll, also referred to as “Taylor Ham. 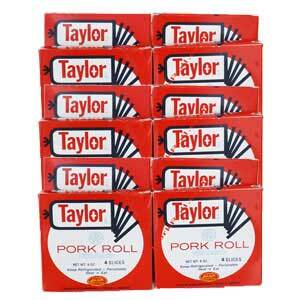 ” THICK sliced, in convenient 6 oz packages for a total of 4.5 lbs. 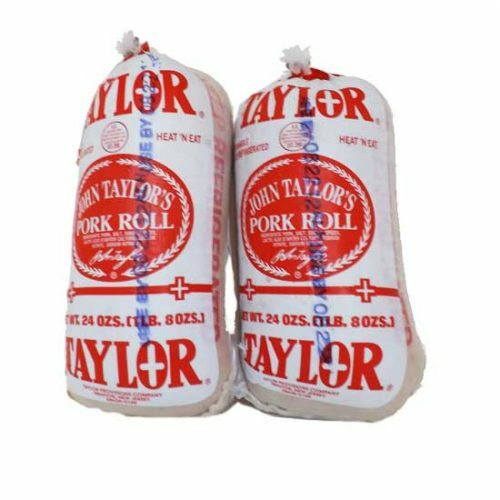 Save when you buy 2! 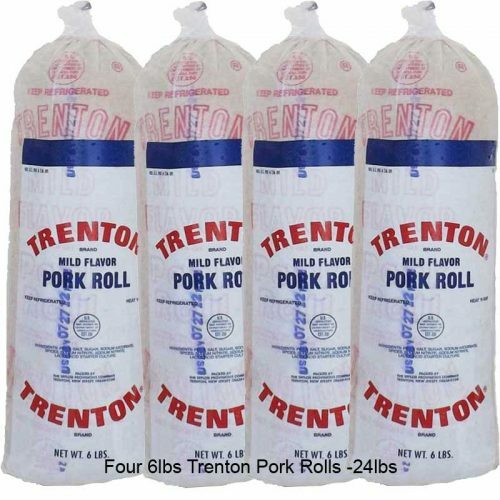 2-6 Pound Pork Rolls. 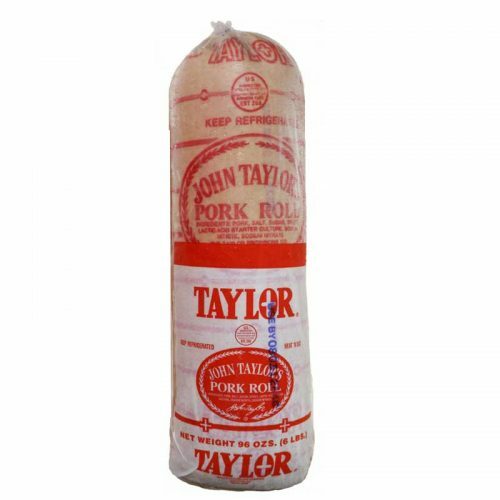 Made by Taylor Provisions also, this is also considered Taylor’s Pork Roll but Trenton is milder tasting than the original. 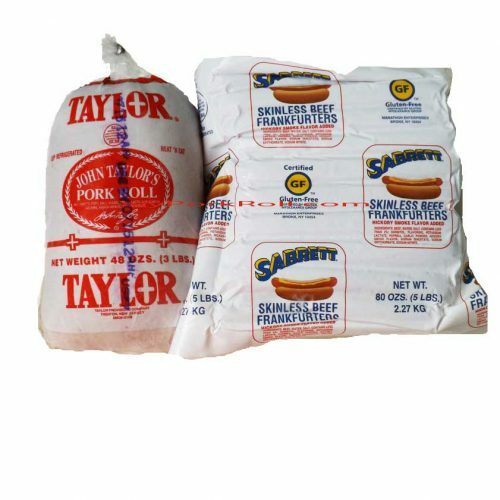 With this combo pack you get 5 Pounds of delicious Sabrett All Beef Skinless Hot Dogs and 3 Pounds of Taylor Pork Roll (Taylor Ham). 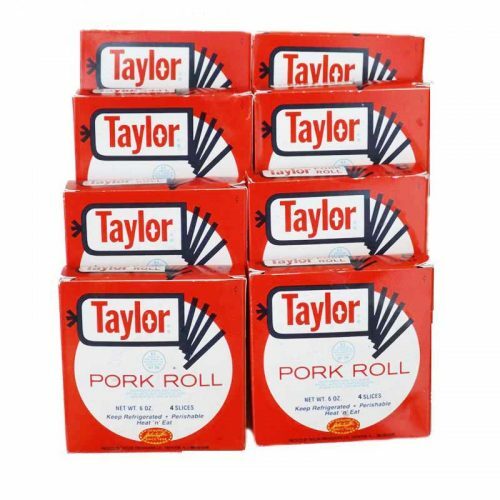 With this combo pack you get 5 Pounds of delicious Sabrett Natural Casing Hot Dogs and 5 Pounds of Taylor Pork Roll Taylor Pork Roll (aka Taylor Ham). 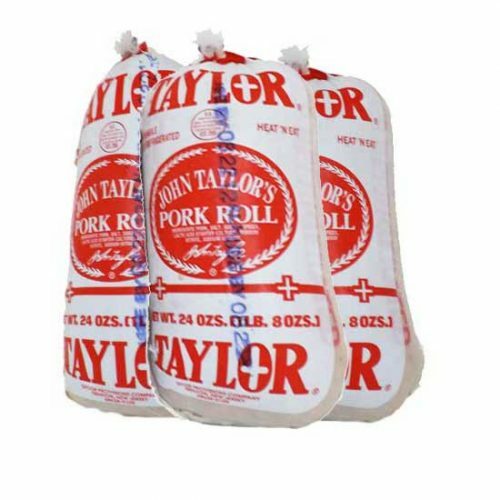 Shipping USPS Flat Rate is $27.90. 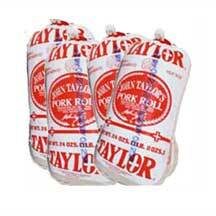 Additional and possibly lower priced shipping choices available (FEDEX Home Delivery) at check out.